Resolving issues in a reasonable amount of time. Providing omni-channel service among the most used channels. Decreasing wait times to speak with an agent. Getting better at first call resolution and eliminating call transferring. Moving to a cloud contact center to meet customer expectations. Creating a more connected customer experience starts with understanding how people are contacting customer service today. People are busy – they’re generally multitasking, often using multiple screens for a myriad of tasks. For instance, while they wait on hold, they might be online looking at their account or trying to resolve the issue simultaneously through another medium. Overall, connecting with people in the right way across any device means executing omni- channel customer service. Let’s take a look at five stats that will help you understand where customer service and customer experience stands today and where they’re heading in 2017. Research conducted in 2016 by CFI Group reveals that customers care most about getting their questions resolved promptly when thinking about what makes a great experience. 63% of people say that “quick issue resolution” or “issue resolution on first contact” is the most important element of a good experience. All these elements really work together, though. An element of quickly fixing a problem is doing so on the first contact. It requires friendliness and knowledge of products and services. Being able to use self-service to help oneself helps speed up resolution. If there’s anything customers dislike, it’s waiting – waiting on hold, waiting a long time for an answer, waiting to be transferred. Quick issue resolution will take care of itself when you focus on FCR, maintaining a strong knowledge base, and providing self-service methods. Don’t spend time on menial tasks while working with customers. Ensure every step gets you one step closer to that eventual resolution. Even with all the technological options today, people still prefer authentic human-to-human connections. The majority of customers contact a support center via phone – 79% in fact. 20% prefer email, 19% prefer to use the website to discover information themselves, and 13% prefer web chat. So phone is by far the most dominant. However, what’s also clear is that people increasingly use these other mediums on a regular basis. That means it’s important to leverage omni-channel capabilities in order to engage with customers on their terms. To remain relevant, companies today need to be prepared with a comprehensive customer experience strategy. The good news is that the right contact center platform gives you control over four of the five most-preferred customer service channels. What the data above doesn’t reveal, however, is the highest growing medium. Gartner predicts that by 2020, 85% of interactions will take place without the assistance of a live agent. A self-service portal and FAQ will ultimately allow your live agents to focus on more complex and meaningful interactions. But in the near term, maintaining, training, and preparing channel-agnostic human agents for phone, email, and chat interactions will be well worth your investment. Average time on hold is 56 seconds. While waiting for one minute might not seem all that horrible, remember, that’s just the average. While many customers get through in less time, there are still far too many instances where people are waiting way too long. Wondering just how long is too long? Microsoft recently found that 43% of Americans are willing to wait on hold for 1-5 minutes. 39% are willing to wait 5-10 minutes. Any more than that is going to start costing you business as people just hang up. And once people hang up, most are done. About a third of callers that hang up never call back, according to Voice Response, Inc.
Use built-in analytics in order to forecast times when you can anticipate higher volumes of inbound calls. Then, you’ll want to scale up the number of customer service agents in order to accommodate inbound volume. So, when Christmas or Black Friday comes around, you can understand how many agents you need at any given time, and ensure you’re prepared. Ensure callers get to the right person the first time. Once customers have navigated your IVR, reward their patience with a friendly and knowledgeable agent on the other end. Today’s customer is impatient – perhaps more so than ever. Simply put, busy customers don’t have time to wait. Create efficient processes that route calls and resolve issues quickly. Today, contact center technology represents approximately a $22B market. With so much impending growth on the horizon, the challenge is to be able to grow without compromising the customer experience. Keeping up with increasingly complex customer experience demands. Replacing outdated technology. Many contact centers continue to deploy legacy technology nearing 8-10 years old. Companies that don’t update their technology will fall behind. Finding software vendors that are working in the cloud, thinking beyond solving just the problems of today. Factors driving this enormous growth include the technology or IT resources being allocated; the investment into people, processes, and training; headcount; or even physical space dedicated to customer service. Contact centers first became a core business function in the 1960s. But back then, the majority were implemented directly on a client’s physical premises. The problem today is that many companies still rely on old legacy deployments built on technology of the past. Fortunately, the majority – more than 6 in 10 companies – rely on some variation of a cloud contact center. That means 4/10 do not. However, that’s about to change. The cloud contact center industry is about to take a major jump forward within the next 5 years. According to research just released from MarketsandMarkets, the cloud contact center industry is projected to increase nearly threefold – from $5.43B to $15.67B (Currently around $10B) – between now and 2021. More and more, companies are realizing the value of moving to a cloud contact center. This includes global scalability, increased data security, and overall boosts in efficiency. It’s less about whether you should move to the cloud, instead a question of when. People are impatient and want their issues addressed quickly. 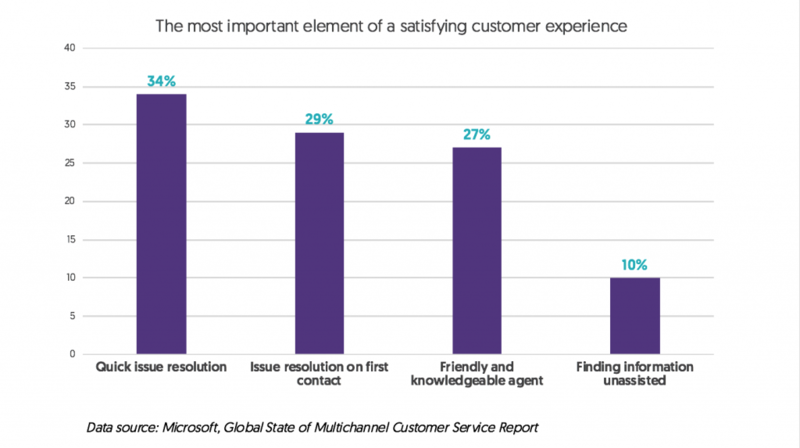 Optimize your customer service for phone, email and chat. Work toward ensuring self-service methods are well equipped. Don’t make people wait on hold for an exorbitant amount of time or they’ll hang up. 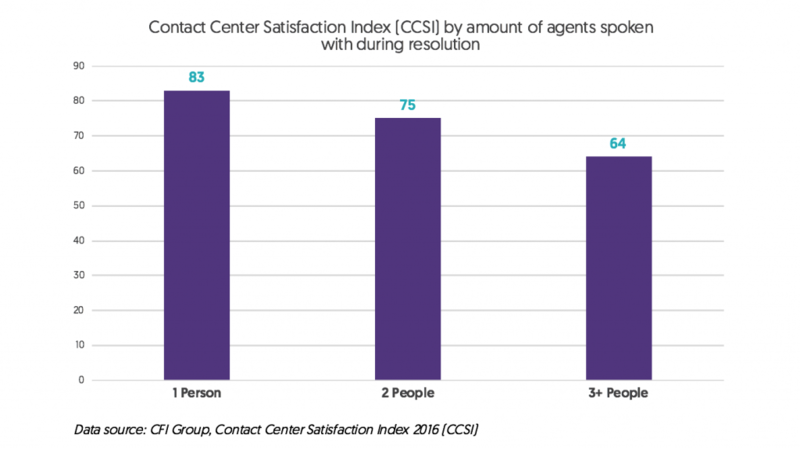 The demand for customer service is growing, and accordingly, so are contact centers. Legacy equipment and technology is no longer sufficient to address the myriad of customer service requirements of the future – cloud is the answer. These 5 key statistics that can help guide your 2017 customer experience strategy to empower agents, retain more customers, and drive your bottom line. Sharpen is a cloud native contact center platform that enables customer experience teams to establish a better relationship with their customers. 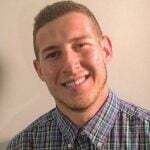 Thisglobal platform eliminates costly on premise hardware, increases agent efficiency and makes customers happier through frictionless interactions. Visit sharpencx.com to learn more. Well written, but I would tag these as the “Key Considerations” of Contact Center Operations and Planning. Trends, especially ‘2017’ in my opinion is a misnomer for this write-up. Above points were as valid for 2016, as they will be for 2017. Nonetheless, the list defines a good set of areas that contact center needs to focus on to keep the business competitive and the customer happy. No mention of virtual contact centers that enable agents to operate remotely, absence of chatbot and NLP-based virtual agent are some points that makes this less about trends more about operational efficiency. These are important functional and technical trends, to be sure; but there is no mention of either the proactive, ambassadorial role of contact center employees in ‘owning’ the customer’s issues, not just resolving them, or a stakeholder-centric culture within the contact center which drives optimization of the customer’s transaction and relationship. Modern chatbots are another piece of technology that call centers have started using for faster and convenient customer service. They allow customers to do things like paying a bill through an automated system or requesting accounting information. Really a nice post! !